The former Uttar Pradesh Chief Minister said the revision in the rates of GST on many items was a result of the simmering anger among the people, which the BJP leadership had gauged. 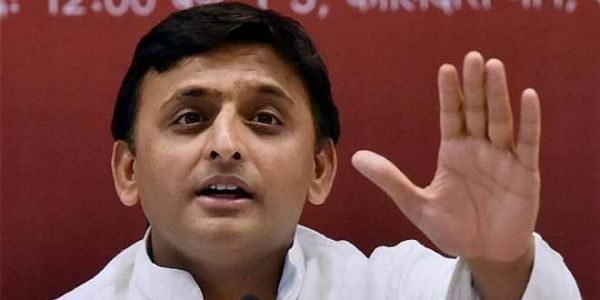 LUCKNOW: Samajwadi Party (SP) chief Akhilesh Yadav on Tuesday said the central government, led by the Bharatiya Janata Party (BJP), was forced to beat a hasty retreat on the Goods and Services Tax (GST) rates due to "anger of the people". Talking to reporters in Firozabad, the former Uttar Pradesh Chief Minister said the revision in the rates of GST on many items was a result of the simmering anger among the people, which the BJP leadership had gauged. "They are changing the GST rates so frequently because they know they will have to face the ire of the people," Yadav said. The 44-year-old leader also predicted that the voters in Gujarat would show the mirror to the BJP in the forthcoming state assembly elections and ensure that it was booted out of power after 22 years. He also claimed that the BJP was in for a drubbing in the urban body polls in Uttar Pradesh as well. "People have decided to punish the BJP for demonetisation and GST," he said. He also announced that he would visit Gujarat after the Uttar Pradesh municipal polls. When asked to comment on the recent moves in certain quarters to thrash out a solution to the Ram Janmabhoomi dispute, Yadav said the verdict of the Supreme Court would be binding on all.